Front desk hours of operation are 9 AM 8 PM. The Heavenly Inn accommodations include beautifully designed suites with microwave and refrigerator with some suites featuring spas and gas fireplaces. 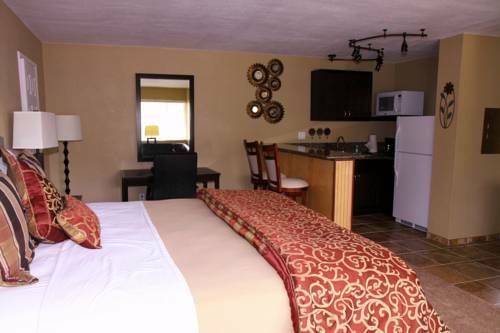 All rooms are newly renovated to insure the most comfortable Lake Tahoe lodging available. Our inn offers something for everyone. Just a few short blocks from South Lake Tahoes Lakeside Marina and Beach beautiful Lake Tahoe the Stateline casinos the Heavenly Ski Gondola and the Heavenly Village Shopping Center.